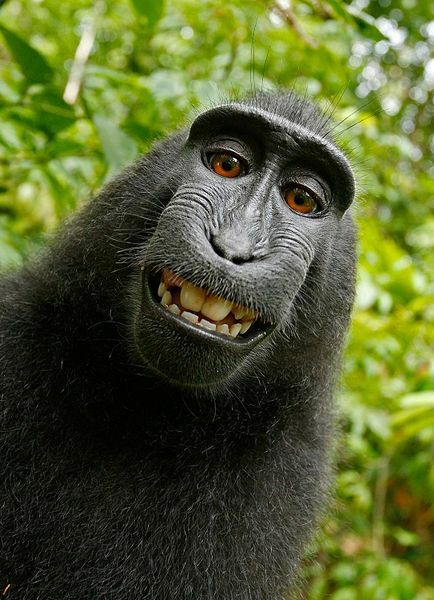 LawLex very recently covered the Copyright on Monkey Selfie issue here. In this copyright dispute that stretches all the way back to 2011, Wikimedia has been proven correct in their belief that the photo isn’t bound by copyright law because it was taken by the monkey and monkeys have no copyright claim. The U.S. Copyright office settled the debate between British photographer David Slater and Wikimedia by updating their rules to reflect any photos taken by animals in addition to a few other interesting things. The full decision can be downloaded from here. Its only that the U.S . Copyright Office has taken this decision. Also it is a fact that David Slater’s equipment was taken by the chimp and the other Jurisdictions may decide differently. Though the fact is that we got that monkey smiling.